We are taking part in the ArcheryGB Progress Badge Scheme. This scheme is open to all junior members of the club and can be shot on any Tuesday or Friday outdoor evening (excluding Toad Warwick evenings). This is Tockington Archers’ very own Progress Badge Scheme. It is open to all members of the club and can be shot on any Tuesday or Friday outdoor evening (excluding Toad Warwick evenings). 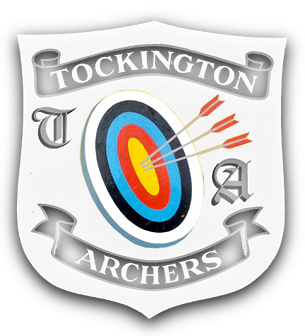 The scheme revolves around shooting a set round (3 dozen arrows at a single distance – the same as the ArcheryGB Progress Badge Scheme for juniors). Once a particular score is reached the archer is entitled to the associated badge for that distance. The advantage of a single distance is that it is easier to shoot the round as you do not have to move or setup an additional boss to cater for the second distance. Note that most recognised rounds are shot over at least two different distances which is why you will often see archers changing targets during shooting, this is so they can shoot the different distances without having to move the target boss itself to a different distance. For more information see the Rounds section.